This Pyle all-weather mono trumpet speaker is what you need when you need to make a loud impact! 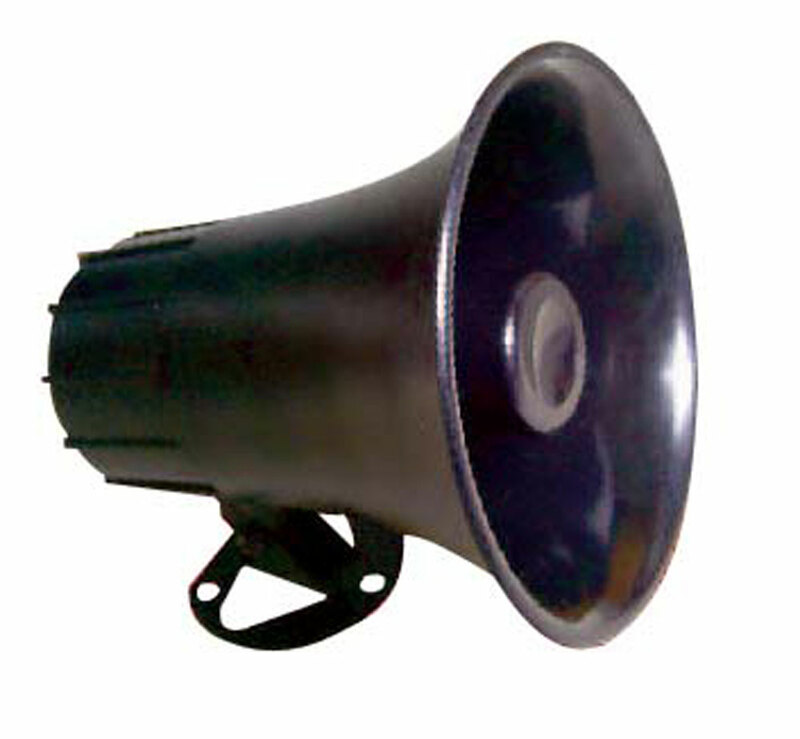 The 5'' ABS horn delivers up to 25 watts peak power and is capable of reproducing your voice or music at up to 112 dB. It's equipped with a 180 degree swiveling adjustable bracket for easy maneuverability. Includes a 10'' pre-wired cord with 3.5mm mono connector.